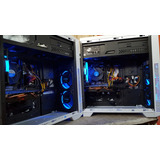 Pc Gamer I5-8400, 8gb-ram, 500gbssd Nvidia Gtx1050ti .iia. Pc Gamer I3 8100/8gb/120gb/1tb/gtx1050ti/envio Gratis !! Pc Gamer I3 8100/8gb/120gb/1tb/gtx1050/envio Gratis ! Aio Proone 400 G2 I7-6700 4 Gb 1tb 20 Win 10 Pro 3y .iia.